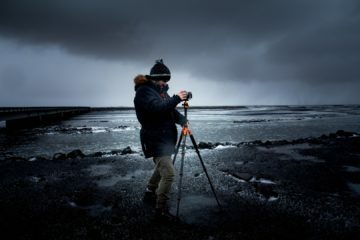 Best Induro Camera Tripod Reviews 2019 - Where To Buy Them For Less? Do the photos that you take sometimes come out looking blurry or with faces and body parts cut off? No matter how steadily you hold your camera or how tight your grip is, any shaking of your hands will impact the final shot. That is why many photographers rely on tripods when taking shots outside and when working in studios. 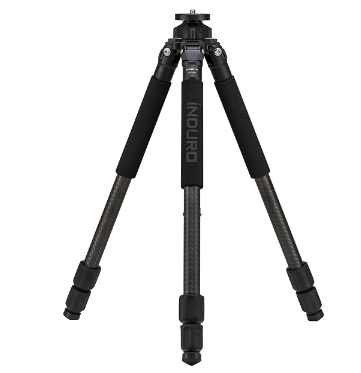 The Induro Tripods GTT204M2 No. 2 Stealth Carbon Fiber Tripod Kit is one of the best tripods that money can buy. 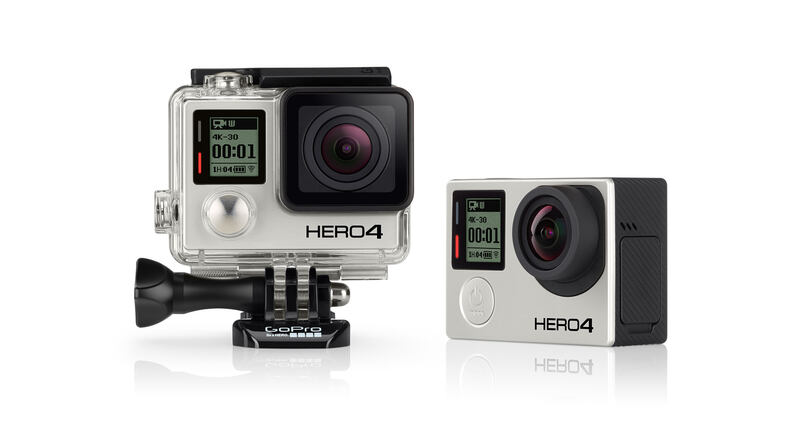 It features a ball head that supports your camera or video camera and a handle on the front of the head that lets you change the placement or angle of the head without taking off your camera. Comparing the No. 2 to other tripods will help you see why this one is the best. 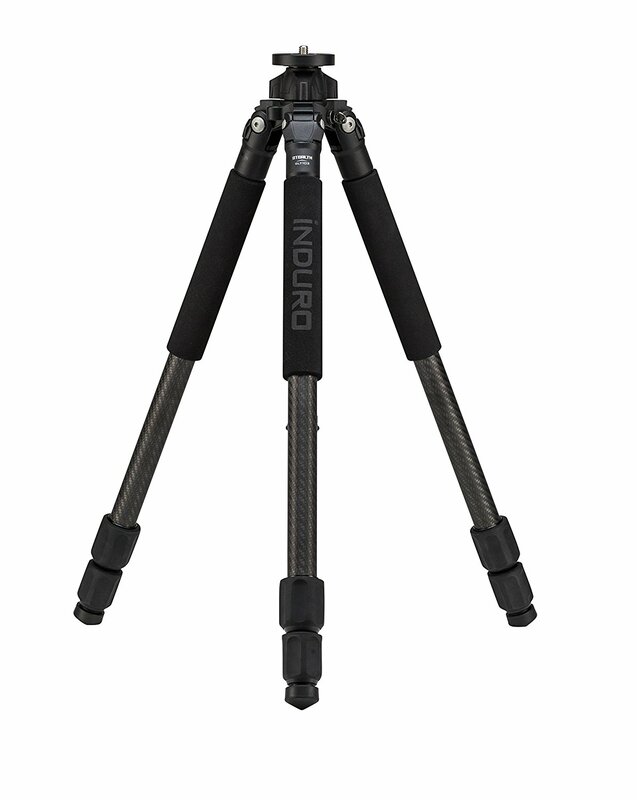 The ultimate tripod from Induro is the Induro Tripods GTT204M2 No. 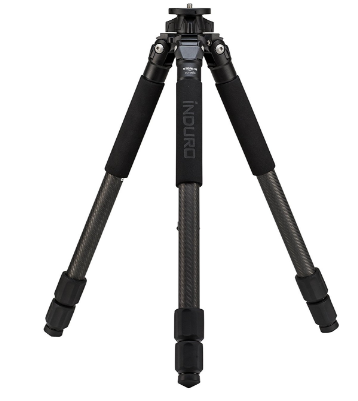 2 Stealth Carbon Fiber Tripod Kit, which ranks among the top tripods from all manufacturers as well as the best from Induro. It comes with a set of rubber feet with non-slip bases that keep the tripod from moving when used on wet or slippery surfaces, but it also comes with spiked feet that you can jam right into the ground for extra support. Induro even gives you a toolkit that includes all the tools needed for changing the feet. While other tripods have a long or tall column that limits the shot you can take, the No. 2 Stealth has a shorter column that lets you get as low to the ground as possible. The legs on the tripod work at different angles for shooting your subjects from the perfect angle too. Though you get a five-year warranty when you buy this tripod, registering it online increases your coverage to 10 full years. Induro gives you a carrying case that can hold the tripod and accessories like a plate and ball head that will fit many different camera types. This case has handles for transporting it by hand or for tossing the case over your shoulder. 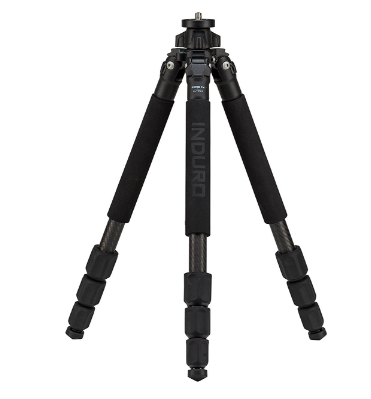 Some tripods are so weak and flimsy that they practically fall over as soon as you set one up, but you’ll never have that problem with the Induro Tripods CLT403 No. 4 Stealth Carbon Fiber Tripod. This tripod has a dedicated hook built into the center column that lets you hang an extra weight on the center for more stability. It also has a set screw on the center column that helps you set it up faster and secure the tripod to keep it from wobbling. 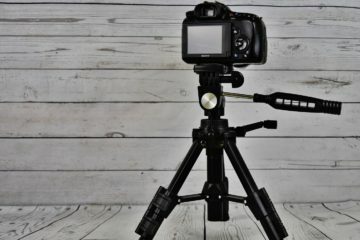 The standard feet that come on this tripod are perfect for use in studios and indoor settings, but the included spiked feet are best for outdoor use. Those spikes sink deep into the ground to keep the tripod from moving in the dirt or the grass. Switching out those feet is easy because of the tools that come with the tripod. Induro also added a top plate made of aluminum to this tripod, which can withstand the common weather conditions you encounter outside without rusting. The No. 4 Stealth comes with a five-year warranty that increases to 10 years after registering it online too. Professional photographers love the Stealth series from Induro because the tripods are so durable, but if you need to save some money on a tripod, you might like this Induro Tripods CLT103 No. 1 Stealth Carbon Fiber Tripod. 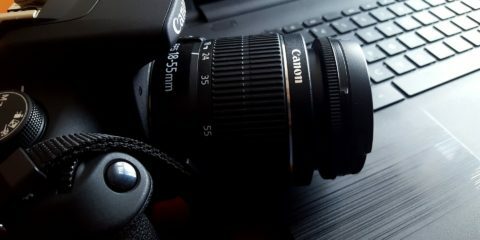 We think this is the best middle of the road option for photographers. It comes with the same five-year warranty that you can extend to 10 years as other Stealth tripods do. Made from both carbon fiber and aluminum, this tripod is durable enough to use outside every day and strong enough to use in a professional studio. The aluminum top plate will work with most of the cameras in your collection without bending or breaking and won’t rust either. It comes with a center column that is shorter in size for helping you get even closer to your subjects. The included tool kit comes with tools for changing the feet on the tripod to spiked feet that you can push into the ground when using it outside. You also get a wrench that lets you make other adjustments and a carrying case that you can carry on one shoulder or with one hand. This case also keeps the tripod safe when in storage. When you fold down this Induro Tripods CLT303 No. 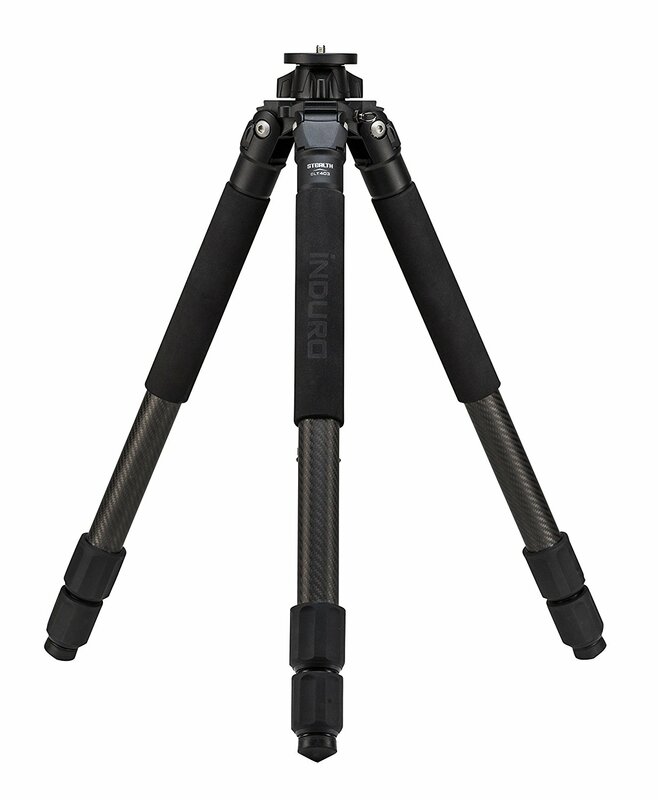 3 Stealth Carbon Fiber Tripod to put it in storage or in the included carrying case, it measures just 25-inches long. You can also extend the legs to reach a maximum height of more than 65 inches, though the total height that you reach will depend on the angle you use with the legs. As it supports a maximum load of more than 140 pounds, the Stealth 3 can hold almost any DSLR camera as well as video cameras and traditional SLR cameras. Though you might think that this tripod will weigh too much for you to carry, it actually weighs less than five pounds and has a hook on the center column. If you find that the tripod isn’t as strong as you need or that the wind knocks it over, you can hang weights on that hook to increase its strength. You also have the option of using rubber feet or spiked feet. Three stops on the legs help you reach the exact height needed with minimal fuss. Those stops also keep the legs from extending beyond the length that you want and allow you to lock the legs to keep each one from shifting. 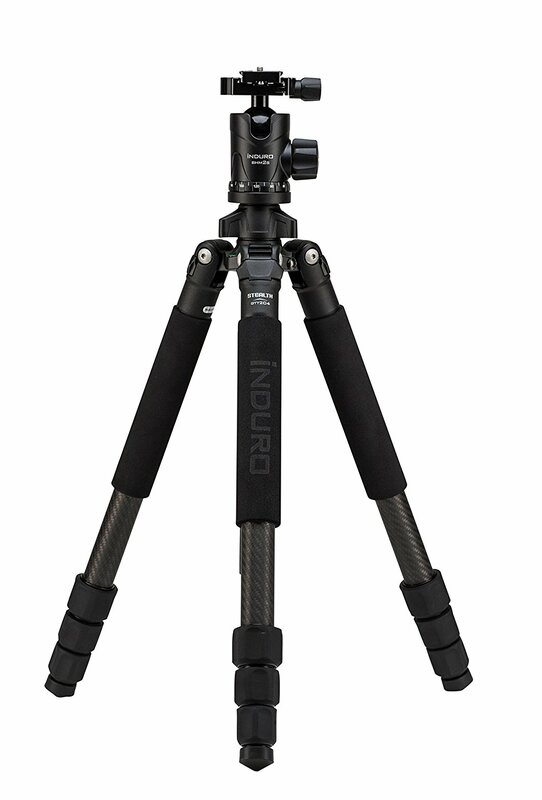 Though many of the tripods from Induro have three built-in leg stops, this Induro Tripods CLT204 No. 2 Stealth Carbon Fiber Tripod actually has four leg stops. This gives you more freedom to adjust the length of the legs and allows you to change the length without the legs popping out of place. The column in the center has its own locking mechanism for locking and keeping the column from moving. 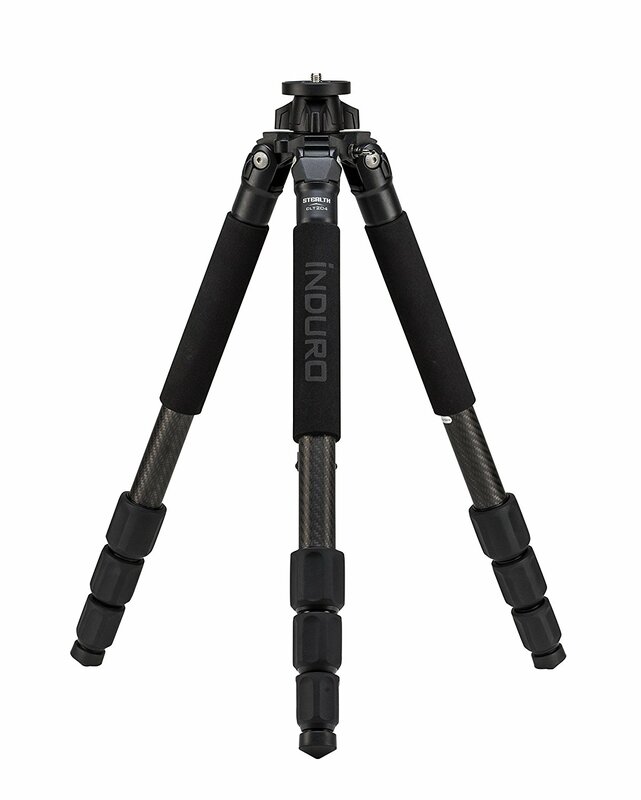 As 3.57 pounds, this tripod is lightweight enough for regular or daily use, but it can accommodate a maximum load of more than 135 pounds. That gives you enough support for a heavier SLR camera or a DSLR camera with some extra weight added to the hook on the center column. Though it has a maximum height of more than 61 inches, it folds down to just over 21 inches. When you adjust the angle of the legs, you can use this tripod at a minimum height of around 12 inches too. 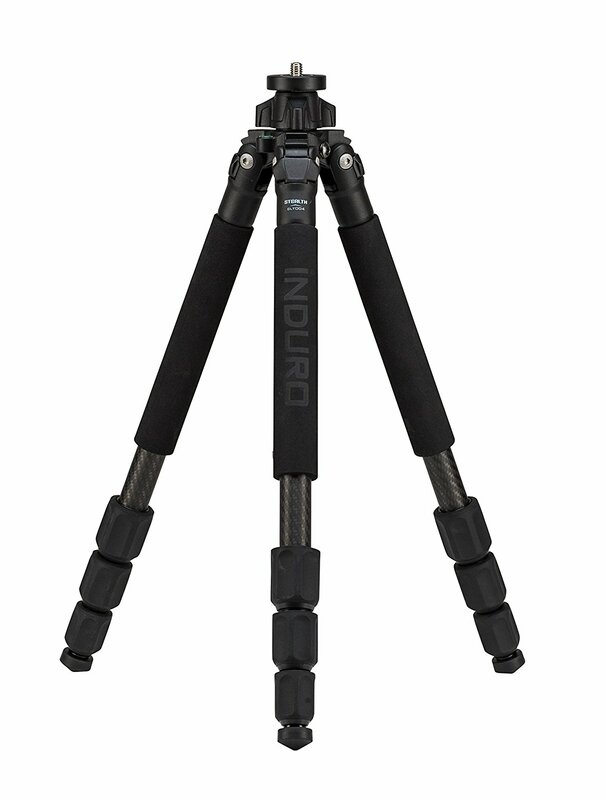 Induro includes rubber feet as well as spiked feet with this tripod and a toolkit for swapping out the feet. With the included carrying case, you can take this tripod with you without making space in your camera bag. 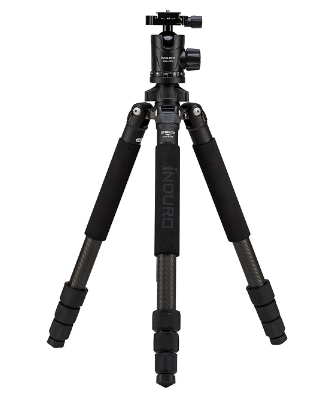 The most affordable tripod that you can get from Induro today without sacrificing quality or miss out on the features that you need is this Induro Tripods CLT004 No. 0 Stealth Carbon Fiber Tripod. It features carbon fiber materials with a 9X weave that makes it stronger than other tripods in this price range. The No. 0 uses cross-bracing in its design to add to its durability too. A magnesium alloy used with the carbon fiber helps bring the weight down to just 2.29 pounds, but it can hold more than 10 times its overall weight, which lets you hang a weight from the center column and still use your camera on top. The twisting legs make it easier to change the total height of the tripod, and these legs have stops that you can lock to a specific height. When you set the legs to a 24-degree angle, which is one of two angles you can select, it has a maximum height of more than 46 inches with the column retracted. The No. 0 Stealth has a minimum height of nearly 11 inches and a maximum height of more than 53 inches with the column in place. Before you spend hundreds of dollars on a tripod from any other manufacturer, you really should see if the Induro Tripods GTT204M2 No. 2 Stealth Carbon Fiber Tripod Kit will work well for your needs. The No. 2 Stealth health comes with its own carrying case, which has handles for carrying it by hand or over your shoulder. You also get a toolkit that makes switching out the feet easy. In addition to the rubber feet that will work on slicker surfaces, the tripod also comes with spiked feet. These feet let you keep the tripod stable when using it on wet grass or hard dirt.